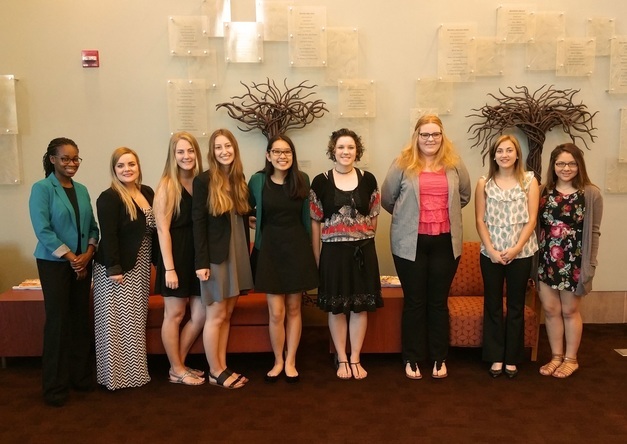 Gloria Ashaolu, Brittany Luiz, Kaelyn Taylor, Maryalice Rosa, Julie Fukunaga, Jillian McDaniel, Lillian Kuehneisen, Bailey Martin and Lizzy Ramirez. Stephen Boyle and Brooke Hinders absent. Awards were made from a selection of nearly seventy applications and based upon academic achievement, school and community involvement, work and sports as well as financial need. We congratulate these highly successful and responsible students and wish them well in their educational pursuits and future careers. The 2017 Scholarship application period will open on January 2, 2017.